What is Music Literacy? attempts to redefine music literacy with a more expansive meaning than is commonly in use, and to articulate the potential impact of these ideas on music teaching practice. The notion of music literacy has involved the ability to read and write music scores. However, this understanding does not extend theory to identify all music texts, nor to offer a thorough treatment of what impact an expanded notion of music literacy might have on music instruction in the classroom and in ensembles. 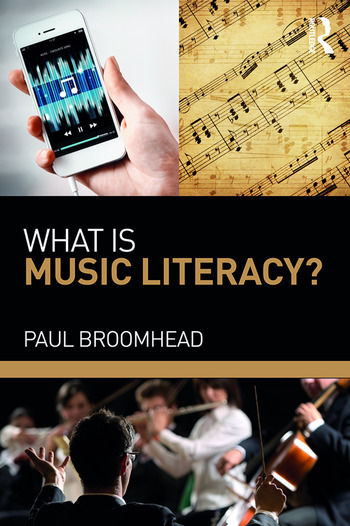 This book provides a formal, expansive redefinition of music literacy. The author offers practical ideas for attending more effectively to music literacy in classroom instruction. The book highlights common elements in the music classroom: the music score, the conductor, surrounding ensemble members, the musical model, the musical instrument, and presentations/recordings. It also describes four orientations that correspond to the National Core Music Standards (2014) and that characterize humans’ interactions with music: creator, performer, responder, and connector. What is Music Literacy? uses these orientations, along with a focus on authentic music texts and literacies, to present literacy-based guidelines for music education along with numerous vignettes that describe actual literacy instructional events. Paul Broomhead is Professor and Choral Education coordinator at Brigham Young University.